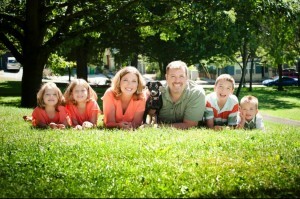 How Dr. Scott Carrier became the passionate Chiropractor in Hillsboro that he is! While wrestling in high school I received a season ending injury, or so the the ER doctor told me. I was urged to see the local chiropractor and had nothing to lose. I was able to make an appointment the next day and it changed my life. I hobbled in on crutches with a sore back and broken ego. After my first visit I felt educated and enlightened. I was able to walk with less discomfort, and incredibly, no crutches. I was surprised and immensely grateful! Within a few visits I was wrestling and running around again with great purpose. After finishing with my military commitment I came home to Portland, Oregon. I started my courses at Portland Community College and then on to Portland State University. I knew I wanted to be a Chiropractor in Hillsboro but didn’t have any idea how much I would love learning about anatomy and how the body works. I was fortunate to live near the University of Western States. One of the best chiropractic colleges in the country. I feel incredibly blessed to have been accepted to such a school and to have had the pleasure of learning from such knowledgeable and experienced professors. I have always wanted to be involved in healthcare. I am happy and proud I chose chiropractic as a means to serve my community. Improving one’s quality of life and helping one patient at a time is by far the most rewarding thing to me. I look forward to showing everyone in the community what chiropractic can do for them. People need to know how important natural wellness is for your body and life. I am happily married to my high school sweetheart and we share a full house with five wonderful children. I volunteer at the local elementary school, coach my daughter’s soccer and help out with baseball games, softball, etc… I believe being completely involved in my children’s life is important to them but more important for me. I love hiking, camping, geocaching and being out on the river. I have never felt more at home than here in the North West.